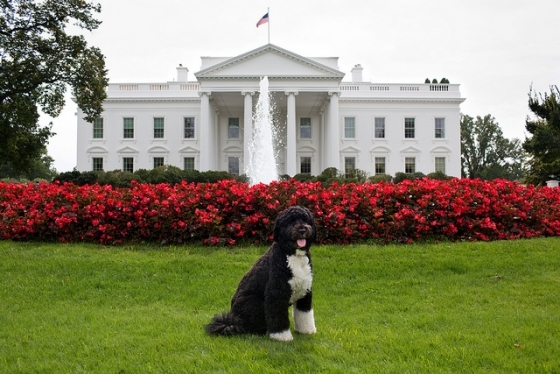 SILVER SPRINGS, MD – In order to provide an alternative to President Obama’s address to the nation on Tuesday evening, Animal Planet will be airing the first annual Puppy State of the Union. “We invite all Repupicans and Dogocrats to tune in and see First Dog Bo woof about current issues including an update on Veterinarycare.pup, building an invisible fence for border collie patrol, and the scientific findings behind receding winter coats,” announced Animal Planet spokesman Frank Harvey. The two hour special segment will tackle hot button topics like the growing treat disparity between the “Can-ines” and the “Can’t-ines” and the affordability of puppy obedience school, but Mr. Harvey stated that most will have their cold noses pressed against the screen when Bo howls about Edward Bowowden and the tight leash of the National Security Cagency. Following the address, there will be a rebuttal issued by Michelle Barkman of the Flea Party. Politicians all lie like a dog.